Flip a coin for every Pokemon in your discard pile. This does 10 times the number of heads. 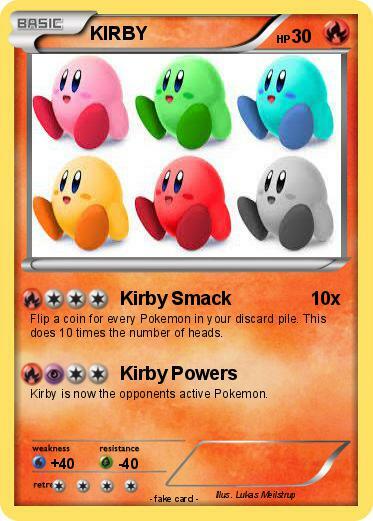 Kirby is now the opponents active Pokemon.